Summer is here. Which means your social media probably has a few summer pics. Pics of the cottage, the water near the cottage, and the food being eaten at the cottage…all for your viewing pleasure on Facebook, Twitter, Instacoffee (my nickname for Instagram) and other platforms. One of the great things about using these platforms is the fact that you have the say on what content you are viewing. You can view what you want on these feeds and simply hide the content you don’t want to see. 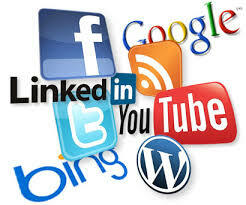 Social media is one of the greatest technological tools of the information age. It is often better than watching a news broadcast. I am personally not a major fan of watching or reading the news often. So I take great strides to have my social media news feeds looks more like an entertainment wire versus a news broadcast. I enjoy content that is going to make me laugh or think. I tend to spend more time on Twitter than Facebook. With Facebook I felt like I was spending too much time on it. Gradually I have eased off on my usage in an attempt to devote that time to writing. Since I use only Facebook and Twitter I would offer the following refresher tips on content control. For Facebook, if someone is posting constant content that is bothersome to you, unfollow or unfriend. You do not have to continually have them in your news feed. Spend some time cleaning up the content you allow to appear and reduce the negativity. For Twitter, take up some of the suggestions it automatically offers you on who to follow. If you have for example some great comedic talent that you follow, Twitter may generate some people to follow whose humour you have yet to discover. In between summer book reading, I hope you find some great entertainment through social media. I never cease to be in amazement at how many interesting and informative articles turn up just through my time on Twitter. Posted in Notes from the Frogpond.Tagged articles, coffee, comedic, Content, Facebook, humour, Instagram, news, news feed, Social Media, suggestions, summer, technology, Twitter, unfollow, unfriend, writing.